During the vinyl record days the cover artwork meant so much to the fans and I still remember spending hours watching and noticing every single detail on a painting (yeah, computers came way later) while listening to the music and diving deep in the lyrics to explore their connection with cover. 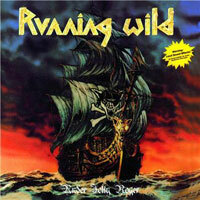 So, RUNNING WILD’s historic and monumental third LP features a cover artwork that later on defined an entire Metal genre illustrating a pirate ship with the trademark Adrian on the main sail (his full name is Adrian Son Of Satan). Just few years before the dawn of the weird ‘90s and the birth of Grunge, a music genre that many people accuse that destroyed the Metal feeling of the wild ‘80s (personally, I’m not so sure about that), the mighty Chicagoans TROUBLE hit the studio, having new bassist and drummer in the shoes of Sean McAllister and Jeff Olson, respectively, and released the third studio album, later acclaimed as their ‘forbidden fruit’. 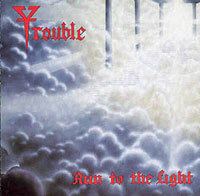 “Run To The Light” is considered by many metalheads as a step closer to a being mainstream, preparing the ground for the next “Trouble”-monolith and MTV’s favorite, “Manic Frustration” albums. It was two albums before when the band from Ireland decided to harden its sound and let the folk roots fade away in favor of a more guitar oriented style. Mainman Phil Lynott, a meticulous songwriter and methodical poet himself probably had already envisioned the more hard days of this legendary outfit since songs like e.g. 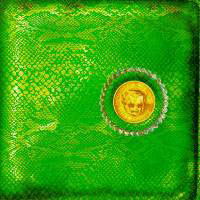 “The Rocker” started shining hard in the ears and souls of the ever-growing passionate Hard Rock fans in Ireland and Great Britain and Europe in general but the American continent was still too stubborn to let another act rule its radio waves ever since (mainly) the LED ZEPPELIN clan had taken the US by storm. 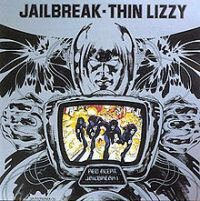 It’s no wonder, though; “Jailbreak” was the breakthrough album of these vagabonds to America.